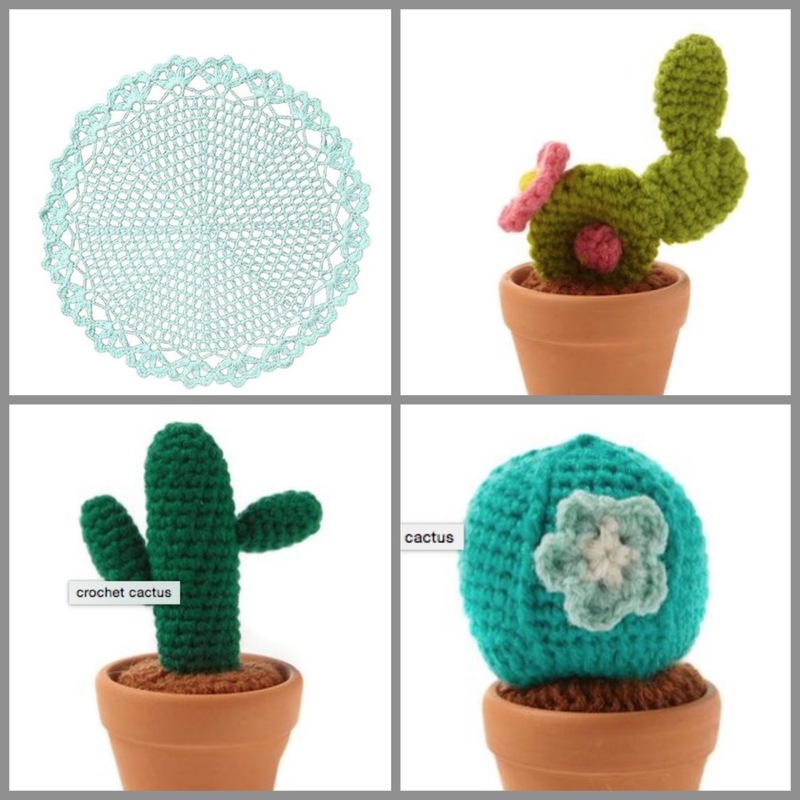 Amy has asked me to write a post to tell you about crochet and, as Sunspun’s Teacher-in-Residence who teaches our crochet classes, I was thrilled to do so. Crochet is very much the baby sister of the yarn world family. Unlike her very well established older siblings – knitting, spinning and weaving who have existed and been well practised for many, many centuries – crochet really wasn’t seen until a few hundred years ago. Since there are no known records or actual crocheted items dating much earlier than 1800, no one is completely sure when and where the history of crochet first began. It has been suggested that early crochet evolved from another form of stitching called Tambour which involved yarn loops being pulled through fabric. By eliminating the fabric, crochet “in the air” may have been born. The name ‘crochet’ is taken from the French word, crochet, meaning ‘small hook’. During the 1840’s – 50’s the peoples of Ireland underwent The Great Famine. The Irish crochet cottage industry was born and Irish crocheted lace almost certainly helped many poorer folk survive this dreadful time. Irish workers – men as well as women and children – were organised into crochet cooperatives. Schools were formed to teach the skill and teachers were trained and sent all over Ireland, where the workers were soon creating new patterns of their own. Families relied on their earnings from crochet, which gave them the chance to save up enough to emigrate and start a new life abroad, taking their crochet skills with them. Lace was purchased by the emerging middle classes and was considered an imitation of the more expensive bobbin lace. It was, therefore, viewed as ‘peasant work’. However, this all changed when Queen Victoria accepted a gift of Irish crocheted lace, wore it and then learned to crochet herself. 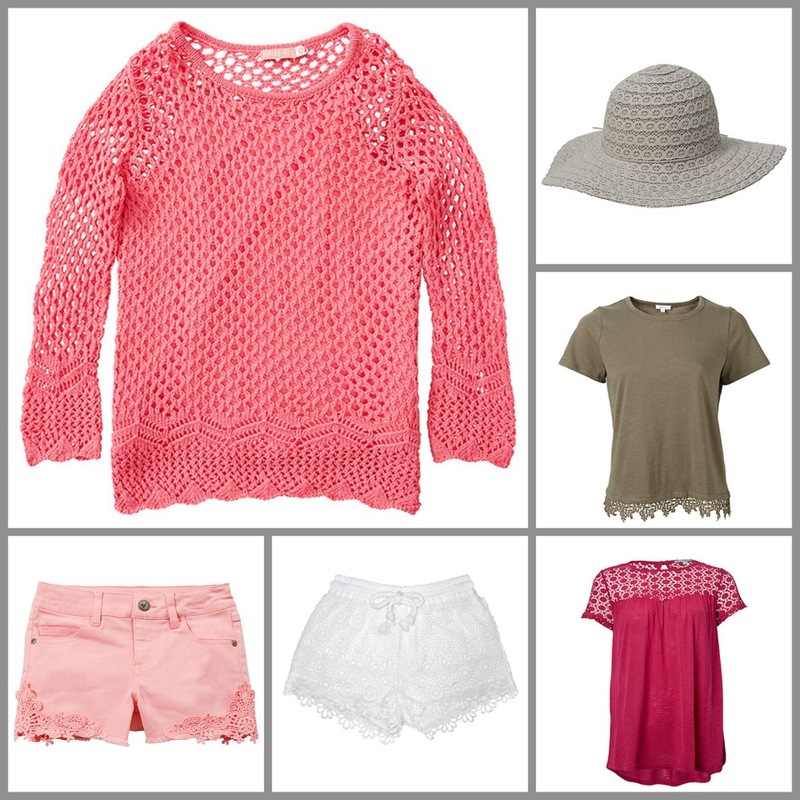 Almost overnight crochet became extraordinarily popular. Fast forward to the 1960’s when the new generation picked up on crochet and popularised the humble granny square, a motif worked in the round and incorporating bright colours. I’m sure many of us of a certain vintage remember the nightmare of the crocheted bikini! In the early part of the 21st century crochet took its place among the yarn based crafts that we love dearly and it is now recognised as a wonderful craft in its own right. 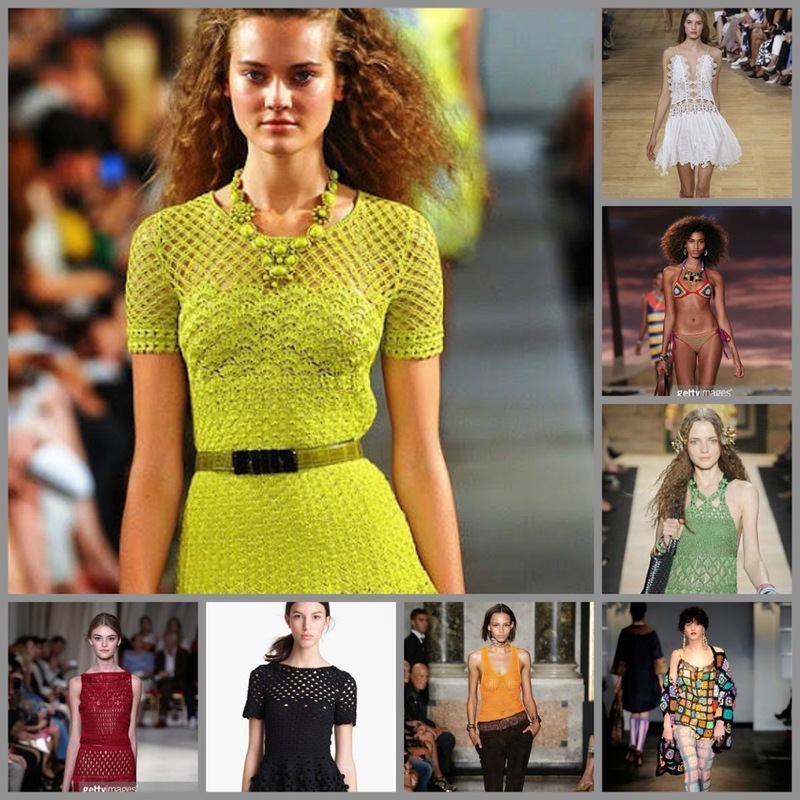 Many designers devote themselves to it as their only craft and it is celebrated on blogs, podcasts and magazines. and in trendy accessory retailers. Of course, we are all craft ‘diy-ers’ and have a yen to make and create our own masterpieces and look for patterns to help us along. The first known instructions for crochet appear in a Dutch magazine, Penélopé, in 1824. This includes a colour plate showing five different style purses of which three were intended to be crocheted with silk thread. Of course, as evidence of the emerging popularity of crochet today we now have many, many magazines from many nations dedicated solely to this great craft. And let’s not ignore the online possibilities – typing in ‘crochet’ in the search engine of Ravelry generates 185,469 items! At Sunspun we are quietly growing our crochet resources and have started stocking the shelves with books and patterns and are crocheting madly to add new samples to display in the store. 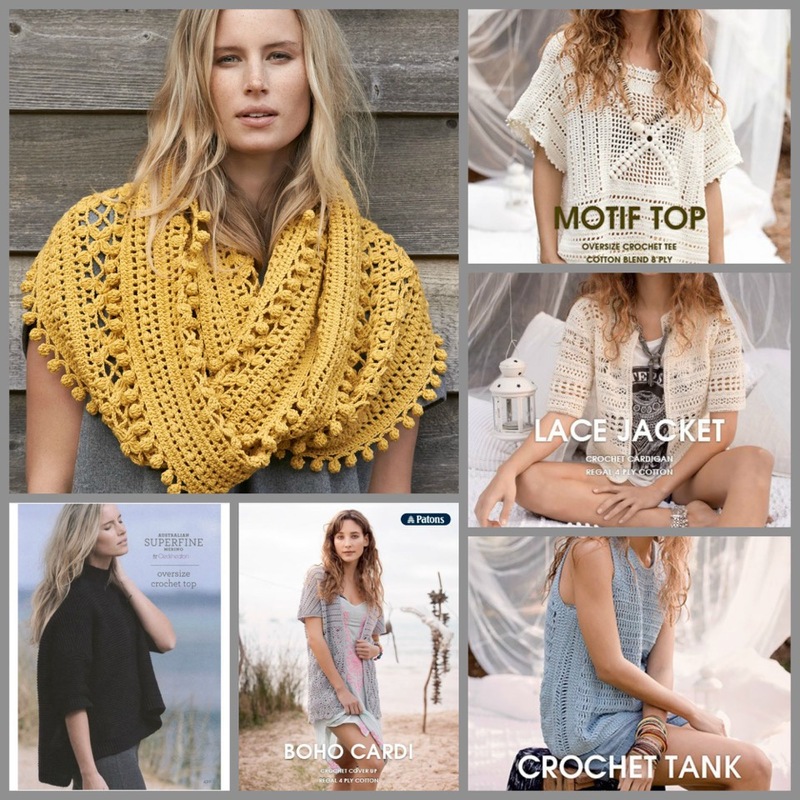 Of course, there are often crochet patterns in the Rowan Magazine and brochures and well known designers like Marie Wallin have written pattern books solely dedicated to producing beautiful crocheted designs. If you would love to learn this ‘on-trend’ craft or increase your skill base keep an eye on our classes page – we will be running our popular Beginners class again next year and also adding some new classes to tempt you!